Optionally you can use our apps, but they are not required. We have desktop and smartphone apps below. If you don’t want to use apps, Buddy Punch works great on web browsers, we recommend using Google Chrome. Use your iPhone or iPad to punch in and out. Free to download with a paid Buddy Punch account. 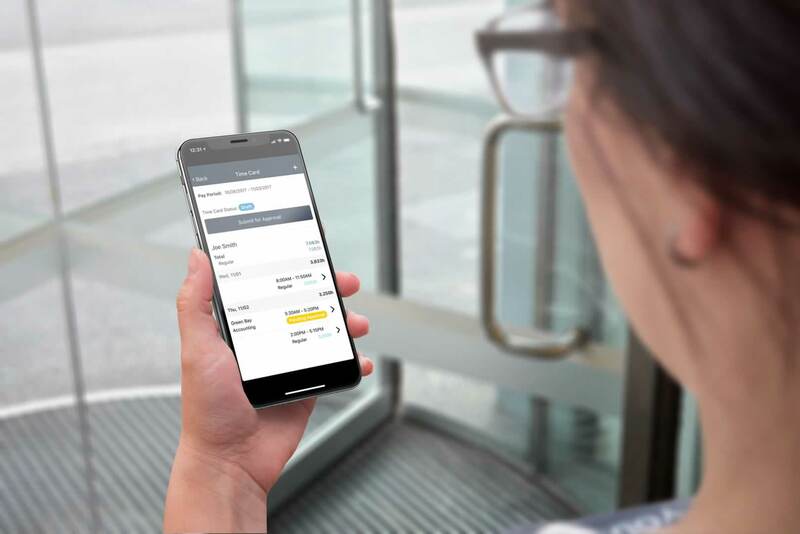 We also have an Android App – for ease of use for your employees to use Buddy Punch on their smartphones. It offers the ability to punch in and out. To use all the features we offer you’ll want to use the web application. If you’re using a desktop or laptop, we have a Google Chrome Web Store app that you can use. Simply click on the image above to go to the site to view and install the app. Buddy Punch will work on iPhones, iPads, and Apple computers. Please note that the webcam feature will only work on Apple computers. Android phones and tablets are supported, and the webcam will work on them too as long as you’re using the Chrome Web Browser. We support all Windows devices, including tablets and phones. In fact all features will work on Windows devices as long as you are using the Chrome Web Browser (Firefox is also supported for most features). Other Operating Systems are supported too – we just ask that you use the Chrome Web Browser for the best experience. Time tracking has evolved along with the advent of smartphones. Manual punch in and out systems were mostly replaced years ago, and time tracking has developed significantly ever since. Nowadays, not only do people use software to track time and manage the workplace, but they turn more and more to mobile time tracking apps as a way to maximize efficiency. It’s simple math – most of us have our phones with us at all times. Being able to use other apps to view and edit schedules, request time off, punch in hours and punch out with one click, etc., has become a workforce norm. Employees enjoy these apps because they save time on writing reports and punching in hours using a physical card. Employers love them because they make work accurate, simple, and cost-efficient. What are the Benefits of Time Tracking Apps? 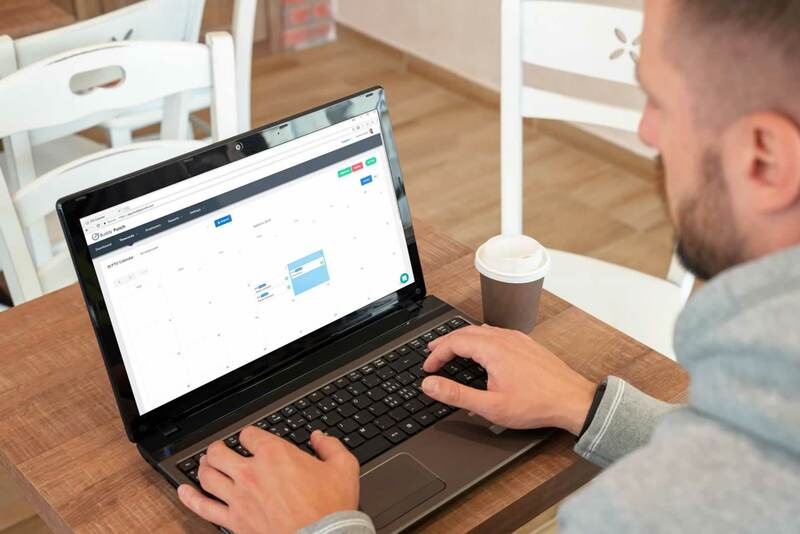 Time tracking apps are now available for mobile devices, laptops, and desktops and are used by thousands of people who want to improve their work experience. Business managers use these to keep an eye on their employees and avoid time theft. Punching hours in for other employees is now a thing of the past. Mobile time tracking has become highly popular among freelancers as well as teams. 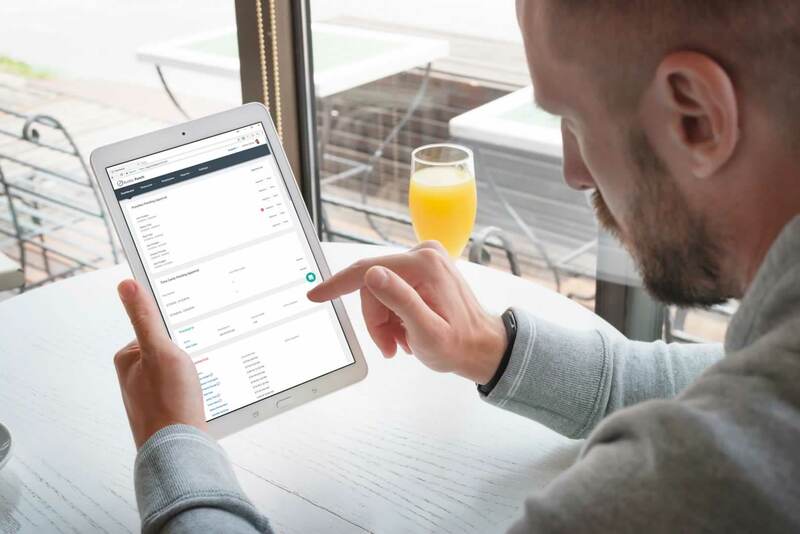 If you choose the right app, you can save time and effort in tracking billable hours and improve the accuracy of your invoicing. How to Decide on the Best Time Tracking App? The benefits are clear, but the difficulty comes in choosing between so many apps on the market. There are just so many options out there, and many of them come with wildly different price points. When choosing a time tracking app to help get your business life in shape, you should take time to find the perfect solution for your needs. That solution should be a combination of fair pricing, the right features, and a solid reputation on the time tracking software market. That solution is Buddy Punch. 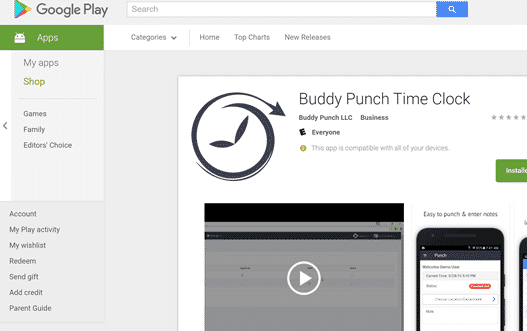 Buddy Punch is the most popular online-based time tracking software on the market. If you are still uncertain about your choice, here is what Buddy Punch offers compared to the other popular apps. The most popular time tracking app has support for many payroll vendors as well as an API. By going with this software, you’ll be able to configure your data and work with over a thousand other apps and websites, all via Zapier. The online time clock system of Buddy Punch simplifies the process and reduces your time spent tracking work hours. Wherever the employee is located, he or she can visit the site or the app from any internet connected device and use it to send in time off requests, record hours, etc. The software can be used on both iOS and Android. Using the system is very simple. Just enter the employees’ details, and the software will then email those employees their passwords and usernames, which they can use to punch in and out. Your login as their manager will give you access to their hours at any time as well as the ability to generate reports at the end of the pay period. What makes Buddy Punch so popular among users is that it can be accessed from anywhere, at any time. Users can log in to the app from a laptop, tablet, desktop, or any smartphone. This makes it possible for you track even those who are out in the field. 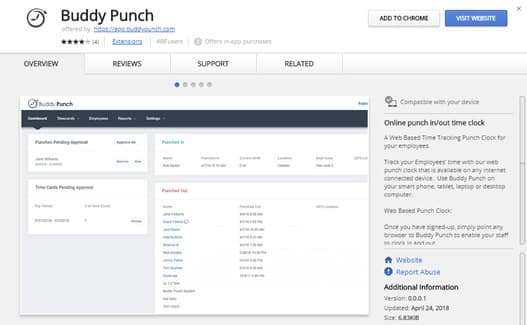 In addition to the username and password option described above, Buddy Punch provides a variety of other options for time tracking and punching in and out of work. The most popular feature at this point is the facial recognition feature, which makes it possible for managers to track whether it is the right employee punching hours in or out. When punching in or out, the employees face is compared to a photo that is associated with their profile. Only when their identity is confirmed are they allowed to access Buddy Punch. This is by far the most successful way of eliminating time theft. Another option available is using QR codes to punch in or out. A unique QR code will be assigned to an employee, which they can scan by using either their smartphone or a device with a camera, and the system will immediately punch them in or out. For every punch in and out, GPS coordinates are available for each employee. Ask your employees to take their phones with them while at work and use those to punch in and out – the GPS will tell you if they lie! With Buddy Punch, there are no base fees to pay, and prices are based on the total amount of users. This is by far the most affordable option, especially when considering the array of features offered. Hubstaff is a widely used time tracking app that offers a variety of features to allow you to supervise time. Managers and leaders use it to reduce time spent reporting and monitoring the staff as well as keep track of what they are doing on a daily basis. Unlike Buddy Punch, which has options for all kinds of teams, Hubstaff is built and used by remote teams only. The features that make this possible include app and URL monitoring that lets the manager see what websites are being used while the employee is working, timesheet generation that is automated and does not require manual input, and reports. Same as Buddy Punch, Hubstaff offers GPS tracking, but they lack the facial recognition software or the other methods for login, such as QRC. This specific time tracking software is available for use on both Android and iPhone. There is a free plan you can use, but it is very limited. The Basic plan starts at $5 per user per month, while the Premium plan goes up to $10 per user per month. Timely is more basic than the other two apps discussed above. This tool is used primarily by individuals who want to track their daily activities as well as freelancers. The software offers an iPhone and Apple Watch app. Even though it offers far fewer features than the other tools, Timely costs $14 per user per month for their regular plan. Individuals choose this app because, for one user, Timely is free and allows them to work on 5 projects. The app includes calendar integration that users can add to for different projects. It is a freelancer-oriented app, allowing individuals to see how much work is done on a daily basis as well as keep track of their productivity levels. Timely doesn’t do anything automatically, except for the reports. This app requires the user to track their time manually. TSheets remains one of the most popular time tracking platforms due to its advanced features. The platform has most of the features offered by Buddy Punch, including GPS tracking, dial-in time tracking, time tracking via SMS, and offline support. The user interface is a bit clunky, which many find to be a drawback. However, TSheets remains fairly comparable to Buddy Punch, with only a small difference in features. For example, TSheets still doesn’t have facial recognition or a QR code punch in and out function. TSheets has a base fee of $20 plus $5 per user per month. Before Buddy Punch was introduced to the market, Toggl was among the top choices of millions of people worldwide. Its reports are very well designed, and Toggl allows its users to track time with one click. This solution is perfect for small businesses and freelancers, and it supports various platforms and devices. The apps work offline, too, so employers can track employees’ time even without an internet connection and upload the data later. The features are very easy to use, but fairly limited compared to Buddy Punch and Hubstaff. Login options are still limited, so time theft is still a possibility. The free plan of Toggl supports teams of 5 people, while their paid plan costs $9 per user per month. The business package is much pricier and costs $49 per user per month. Hours is another basic app commonly used by freelancers and individuals who aren’t in need of advanced features. The software supports a wide range of services and provides attractive reports. Compared to other trackers, the features are much more limited on Hours. Their Pro and Team Pro plans are more advanced than the free plan but still quite basic. Nevertheless, all features offered by Hours work really well for those who prefer to use a simpler time tracking software. Paid plans begin at $8 per user per month. RescueTime helps people save some of the time they spend during the day and spend it more productively. Their mobile version is only available to those using Android. This app is very popular due to its goal setting options, detailed reports, weekly summary emails, site blocking, and productivity scoring. These features are perfect for an individual or freelancer trying to boost his or her productivity. Unfortunately, the app is not available for iPhone. The premium plan begins at $9 per month. As for team time tracking, the product offers a plan that begins at $15 per user per month. This plan is a bit limited in terms of features, but it includes the standard features in addition to an admin dashboard and activity monitoring tool. Mobile apps are not required for the Buddy Punch platform, but they are becoming very popular. The reason for this is the variety of features that are accessible from smartphones. Buddy Punch has both desktop and smartphone apps for every user and can also be accessed through a web browser. All this makes it possible to punch in and out, get reports and notifications, and use online time cards, etc., whatever technology users have access to at the time. Users can punch in and out on their iPhone or iPad. With the paid Buddy Punch plan, the iPhone time tracking app is free to download. Buddy Punch also has an Android time tracking app, making it possible for every smartphone user to punch in and out from their phones. For those who use a laptop or desktop for work, Buddy Punch offers a Google Chrome Web Store app. This app is free and easy to install. Did You find the Mobile Time Tracking App for Your Business? Mobile time tracking is perfect for all businesses big and small, as well as individuals and freelancers. The right app allows every employee and manager to track their productivity and efficiency. It also helps individuals learn how they can improve and become more accountable in the work they are doing. Many companies are making the switch to apps like these as part of their time tracking system, making life much easier for managers. Such apps make things easier for the employees, too, while motivating them to be more productive. Have you made up your mind about the mobile time tracking app you will use? Feel free to use Buddy Punch’s free trial version of up to 30 days before signing up for a paid plan! Do you need time clock software? 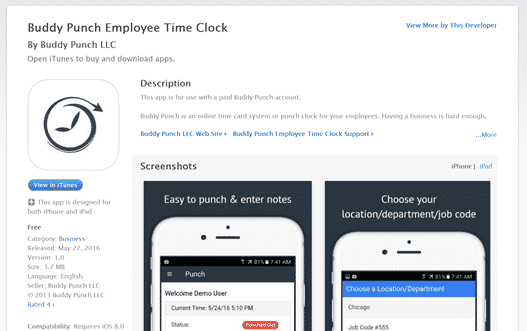 If you’re looking to buy a time clock software, we highly recommend Buddy Punch. It is highly scalable and affordable. You can find out more about the features that make Buddy Punch stand out from the crowd by trying out the software for a whole month. Click the link below to get started today.